Am I a Candidate for Minimal Access Surgery? When a patient is considering the possibility of surgery, the least invasive approach possible is often preferred. In some cases a patient may not be eligible, or there may be other reasons that a traditional approach would be advised. 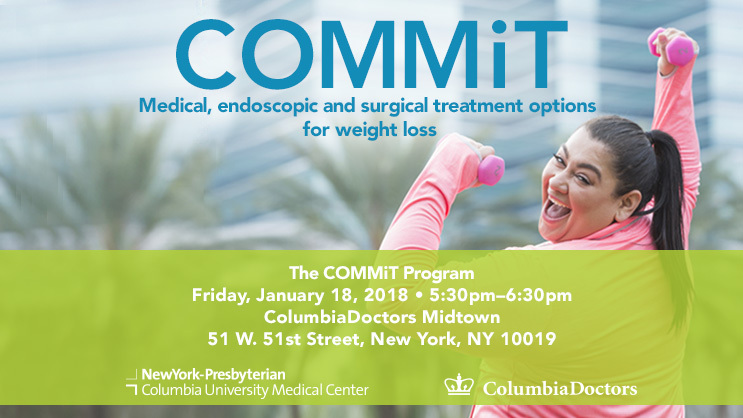 Patients may be referred to the Minimal Access Surgery Program by other surgeons at NewYork-Presbyterian/Columbia if they are candidates for minimal access procedures. Patients considering surgery for GERD, weight loss, gall bladder removal, appendectomy, or other procedures are also welcome to inquire directly for evaluation at our program. After undergoing sleeve gastrectomy for weight loss, Gina C. is healthy, happy and fit.